Once again, our challenge is to predict how each juror will cast their vote, or at least their order of preferences for the remaining players, and thus, who will win Survivor: Heroes v. Healers v. Hustlers. The full #TeamTDT roster from last season has returned, and this time, we've decided that our collective thinking is probably good enough for this exercise. (We did end up voting the same way, for the most part.) So we've divided up the writing, meaning the same results to read, but with 75% less words for you to wade through, dearest readers. What a bargain! We individually ranked juror preference order for each of the people in the Final 5 (as well as the remaining players' perceived preferences for each other), then averaged each pundit's number for a particular juror (or potential juror), to come up with a consensus order. Full results are in a table at the bottom, should you be so inclined. Because we know everyone loves tables. Even ones that aren't round. Ben Martell - Desi ultimately valued loyalty in the game, and that's going to carry through to voting for Mike if he's there. After that it becomes difficult - Desi said in an exit interview that she saw Devon as sitting in her ideal final three because he wasn't doing much. She criticised Chrissy in her exit interviews but also didn't want to sit next to her. So her messages have been a little mixed. So she might value Devon's good-natured approach to the game, or she might value the overt gameplay demonstrated at tribal council, which Ben and Chrissy have done well at. If Mike isn't there Desi's vote is virtually a shot in the dark, but we're all pretty clear - it's not going to Ryan. Pat Ferrucci - If Cole can stop eating for long enough to attend final tribal, the bet here is his vote goes to Mike above all else. 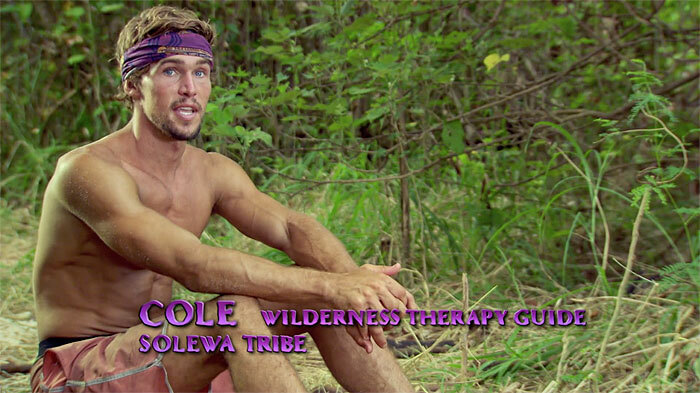 The reasoning is that Cole was pretty tied to the Healers and Mike, of course, is the only Healer left. Cole and Mike also seemed to have a good relationship throughout the game. After Mike, this becomes a little tricky. We can safely guess that both Chrissy and Ryan won’t get Cole’s vote without some luck and something happening during the last episode. But Devon or Ben? We went with Devon because he’s a lot like Cole, but mostly because Ben and Cole had a contentious relationship throughout the game and Cole might see Ben as the reason his soulmate, Jessica, went home. Pat Ferrucci - Who can know what JP will do? 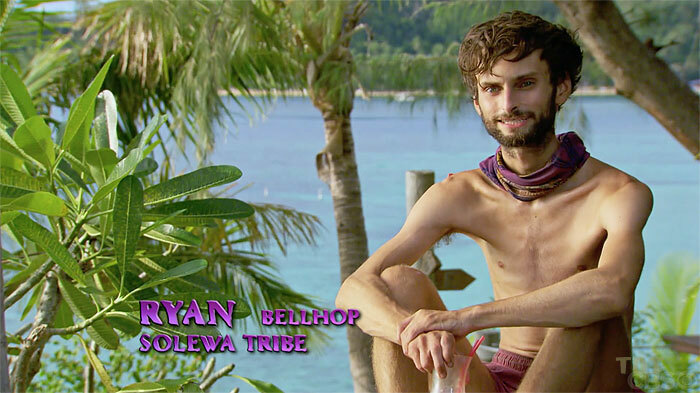 Will he even speak during final tribal? It’s not like he’s shown the ability to be verbose or anything. In the end, though, JP seems like one of those players who’s going to vote for his old alliance. We don’t know that there’s really any doubt to that. Obviously, Chrissy controlled JP’s vote throughout the game, so she gets his vote. Ryan gets a second-place vote here because JP worked with Ryan for quite a while. After that, it’s Ben because he’s obviously played the most outwardly best game. Devon gets the call over Mike because, frankly, Devon and JP are sort of similar. But JP could always cast his vote for Probst; that wouldn’t be too surprising either. Dan Otsuki - What is Coco without his Nuts? While Joe claimed throughout the game to be strategic and to value that in others, we at TDT believe he’d set aside big, flashy moves and the overall better gameplay of Chrissy, Ben, and Devon for the late-blooming friendship he developed with Mike. 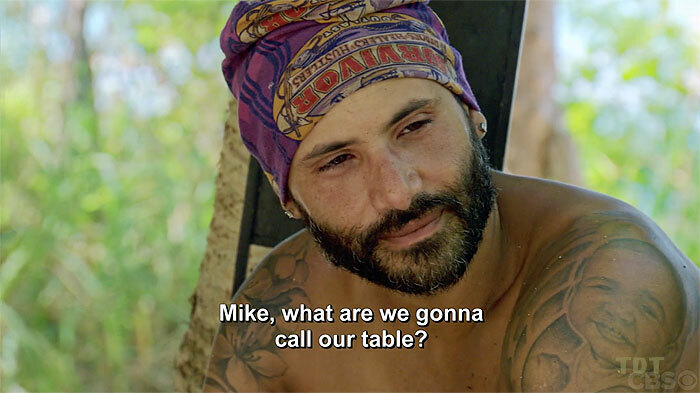 Still, in the event Mike does get the boot in the finale, Joe’s vote seems pretty up for grabs among the remaining strategists, though it seems to be agreed upon that Chrissy probably has a slight leg up given the tension between Joe and Ben as well as the knife Devon put into Joe’s back. 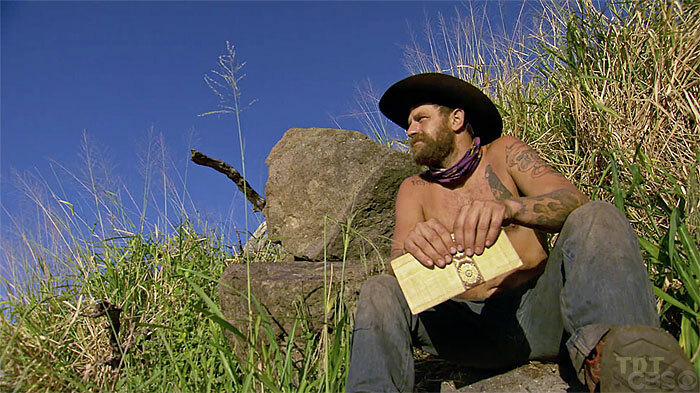 Jeff Pitman - Devon is the last member of Lauren's chosen alliance of four left standing. Well, except for Ben, who obviously had a hand in dismantling it. 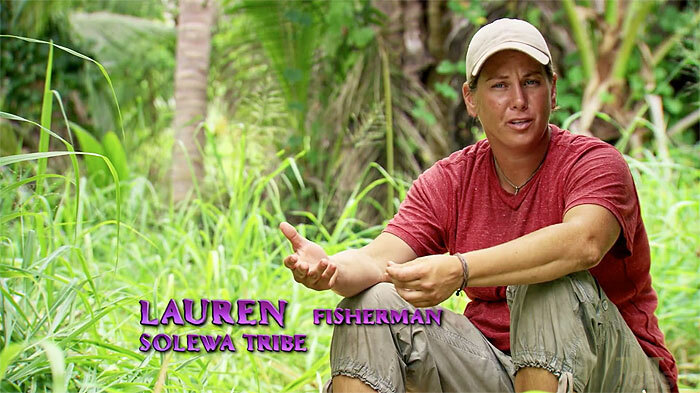 Lauren's also someone who knows the extent to which Devon's ideas were part of that alliance's Big Moves. She seems like she'd value Devon's loyalty and praise his strategic acumen. But there's also a chance she'll bow to the force that felled her, Ben. Game respects game, and Ben simply outplayed Lauren in this case. Similarly, after Lauren split off, Chrissy was an opposing force who was trying to get back into power, and she eventually did so, which may earn a respect vote from Lauren. The only two probably out of luck are Mike, who Lauren thought was hilarious but not really changing the game, and Ryan, who she saw as too much under Chrissy's thumb. 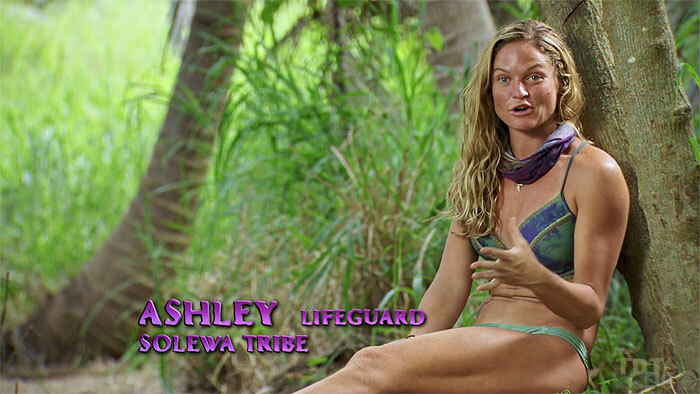 Dan Otsuki - Obviously, regardless of who Ashley votes for, she's voting for someone who booted her. The big question at TDT seemed to be whether or not she'll forgive her closest ally for backstabbing her in favor of the good doctor? Though we think it could be very close between Chrissy and Devon (assuming they're both in the FTC), we think Ashley might be just bitter enough to vote for Chrissy even if Ashley believes Devon played a better game. Ben is the dark horse vote for her. So... we've reached the end of the current jury, but there should still be two more voters joining them. Since we don't know which couple that actually is, we'll just extend the thought exercise to the members of the final five. Ben Martell - As much as we've seen Ben and Chrissy get into conflict, I have the sense that they still are very much friends and like each other, and respect each others games as well. Both the desire to vote Lauren which didn't pan out, and the vote for Ashley this week, seemed most supported by Chrissy. I think these two have buried the hatchet and there's little doubt that Ben would vote for Chrissy first. If Chrissy goes to the jury with him, I think that Ben would respect the best game of the other three, and from his perspective that will be Devon. Jeff Pitman - All season long, Chrissy has seemed like a final three contender, so this is probably moot, and Chrissy won't be voting. But if she were, and Ryan made it while she didn't, she seems most likely to reward the guy who's technically been with her since Day 1. With a bond forged by that Day 1 Super Idol (which makes a return appearance in the preview, as seen above! ), Ryan and Chrissy have been solid alliance partners ever since the swap. It's a rare dual strategist pairing, not unlike Todd and Amanda in China. (A parallel which will probably extend to their both being in the final three.) If Chrissy and Ryan both miss the finals, the next most likely recipient of Chrissy's vote is probably Ben, who was also a Day 1 ally of Chrissy's. Their battle for power has been a focus of the endgame, and Chrissy seems like she'd respect an outcome in which Ben came out the victor, and vote accordingly. Jeff Pitman - We've heard a lot about Devon's views on the game, and all season long, he's given us a curious mix of straight-up authenticity and nefarious subterfuge, ranging from objecting to Joe's sketchy claim that Ashley wanted Devon out of the swapped Levu tribe, all the way to hatching his Secret Spy Ben plan. 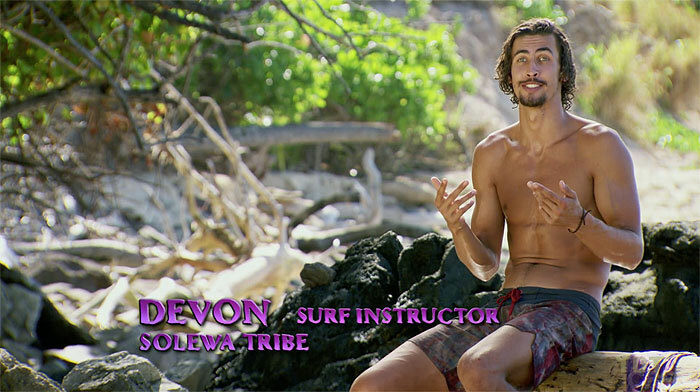 At the start of this week's episode, Devon made clear that he sees Ben as his biggest competition, and has said repeatedly that Ben needs to be taken out, otherwise he'll obviously win. So Devon's most likely voting for Ben if he's a finalist and Devon's a juror. In the unlikely event that neither Ben nor Devon reach the finals, Devon will probably see that as Chrissy's doing, and will then vote for her, although there's a small chance he'd instead reward his former Day 1 alliancemate, Ryan. But who knows, maybe Dr. Mike can give a rollicking jury speech that swings everyone to his position? More likely, Devon's a finalist, and this is all for naught. Pat Ferrucci - Over the course of the last couple episodes, Mike’s made it known that he believes Ben owns a determination to win over and above everyone else. We also know Mike believes Ben’s the biggest threat (“Get him the f*** out.”). And while they haven’t always worked together, the editing makes it seem like Mike and Ben still have a good relationship. That’s why Ben gets Mike’s vote. 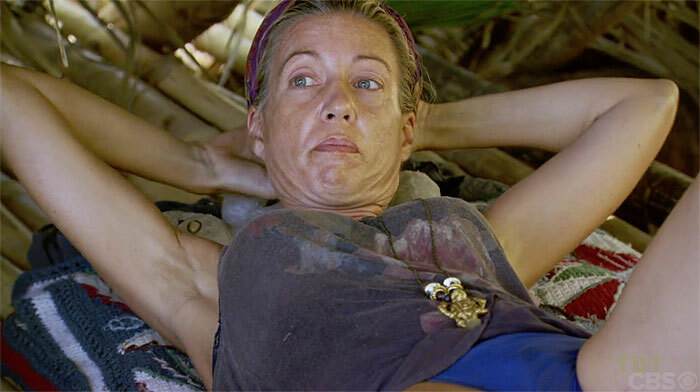 It’s a tough choice for second, but we think Chrissy gets the nod because she’s been more outwardly in control of the game than Devon; Mike’s seen her work, while only Devon’s main allies really know the great game he’s played. And there’s no chance Ryan gets Mike’s vote. Dan Otsuki - How could Ryan not vote for Chrissy? Maybe if she backstabs him, but even then, Ryan’s been shown to be a better sport than others out there this season (congratulating Ben and Devon for their respective deceptions). Given how close Ryan and Chrissy have been basically throughout the whole game, I think it would take an unprecedented betrayal (like JT and Stephen needlessly ditching Taj) or a game-shattering move by Ben or Devon. Regardless, no one really thinks Mike has a chance to get this vote. Obviously, that's a tie. Which cannot stand, and so the third-place finisher would cast the deciding vote, as Probst revealed at the Game Changers finale. (Yes, we're tie-truthers.) If the final three are Chrissy, Devon, and Ryan, that would saddle Ryan with that momentous decision, forcing him to give one his closest allies this season one million dollars, and his other closest ally a mere $100,000. No drama there! 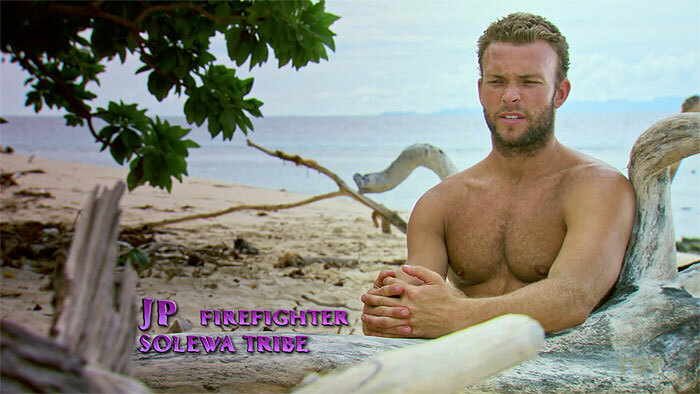 So then the actual, final vote total would be... Chrissy 5 - Devon 4. That seems like a somewhat unlikely ending, based on the edit. But damn, a surprise finish like that would be fun, no? A Tribe of One: "Survivor Jury Jeopardy: The Internet's Fiercest Battle of Wits"
The Purple Rock Podcast: "Survivor Jury Jeopardy - Heroes vs Healers vs Hustlers"
The RHAP Survivor blogs: "Jury Jeopardy-Heroes v Healers v Hustlers"